As published in The Educator Australia. Australia’s first independent, national body dedicated to driving gender equality launched on Tuesday. The Australian Gender Equality Council (AGEC) has a member network representing over 500,000 women and girls, all of whom seek the same rights and opportunities when it comes to pay, superannuation and treatment in the workplace and society. Statistics show that women earn 23% less than men, 1 in 5 women experiencing sexual violence after the age of 15, have 42% less superannuation than men, girls receive 27% less pocket money than boys, and 1 in 2 women are discriminated against at work for being mothers. 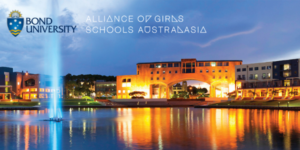 The Alliance of Girls Schools Australasia (AGSA) welcomed the launch, saying girls’ schools play “a vital role in tackling the ongoing issue of gender inequality in Australia”. “Research shows that students from girls’ schools feel more confident and empowered to pursue careers in male-dominated fields such as science and technology and to take on leadership roles,” AGSA executive officer, Loren Bridge, said. Bridge said girls across the country will be “shocked” to discover that they receive 27% less pocket money than boys and we are encouraging them to discuss this and other gendered issues with their friends and family. AGEC, in partnership with its member network, will drive a cultural shift in Australia’s attitudes towards gender equality through national campaigns underpinned by rigorous empirical research. To mark the launch, AGEC has released its campaign video, titled “It’s Time.” The video acknowledges the work and efforts of the suffragettes and the feminist movement of the 1970s. AGEC chair, Victoria Weekes, said the launch of the Council aims to “finish the fight that our predecessors started”. “Through being independent and unbiased, AGEC will provide a free and fair view of the true state of gender equality in Australia,” Weeks said.